Choc-free Easter eats to make with the kids! That sweet treat-delivering bunny will soon be hopping his way into homes across Australia, coinciding in many places with the first school holiday break of the year – that’s right, homes across the nation will be full of chocolate and children! 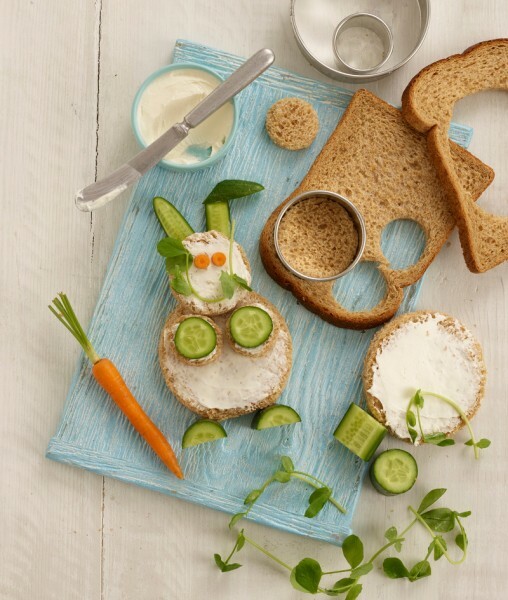 To get the kids into the Easter spirit, we’ve enlisted the help of the delicious Annabel Karmel to share a couple of adorable bunny-themed recipes. Relax. Cooking with kids isn’t going to be mess free, so just enjoy the ride! Allow your children to experience different smells, sights and textures in a fun way, and try not to worry about the mess. Start early. Annabel says that children as young as three can enjoy ‘cooking’, by measuring with spoons, mixing, rolling dough, and cutting shapes (with a little adult help). Keep it simple. Toddlers aren’t known for their vast attention spans, so quick, easy recipes are the best introduction to cooking. Sharing is caring. Cooking with more than one child can be a task – so prepare jobs for each that they can take responsibility for, in a bid to avoid fights. Food fun. Annabel recommends getting children to try as many new foods as possible while they’re still young. “Try playing a game and blindfold each child before introducing a new food and ask them to guess what it is. Giving them facts is likely to make them more interested about what they are eating,” she says. So pull a stool up to the kitchen bench, and get your little bunnies gathered round. It’s time to get cracking! Pre-heat the oven to 180° C fan. Peel the sweet potato, then slice four thick slices about 1.5cm thick using a metal bunny cutter. Stamp out one bunny from each slice. You may need to bang the cutter with a mallet if it is hard to push through the potato. Arrange on a baking sheet, drizzle with oil and season. Bake for 30 minutes, turning over halfway through the cooking time until lightly golden and cooked through. Decorate with pink peppercorns and chives for the nose and the whiskers. Makes one piece of bunny bread. 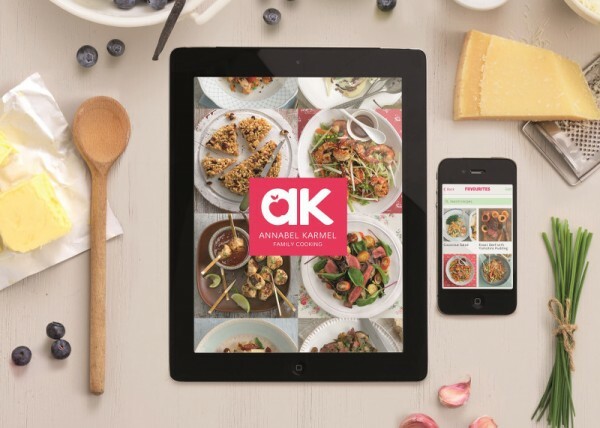 For a heap more fun food ideas, have a look at Annabel’s new Family Cooking app. It has a special, interactive cooking course for kids and delectable meal ideas – the perfect head-start for Easter cooking! You can also find plenty more recipes at Annabel Karmel.